wow, i would love to live in tiny abode :) thanks for the smile! 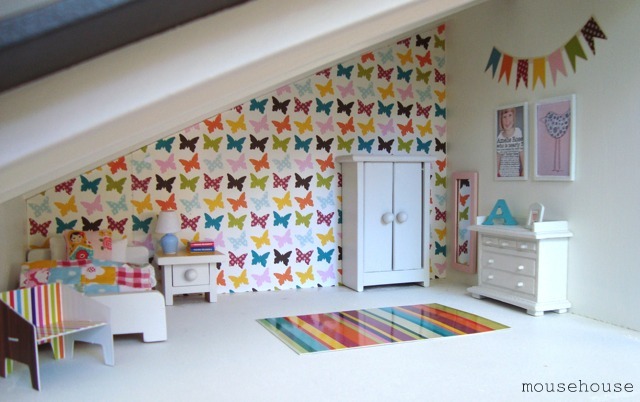 oh my - that is THE most amazing doll house I ever done saw!!!!! I want her as my mummy and start over! just amazing - thanks for the share. 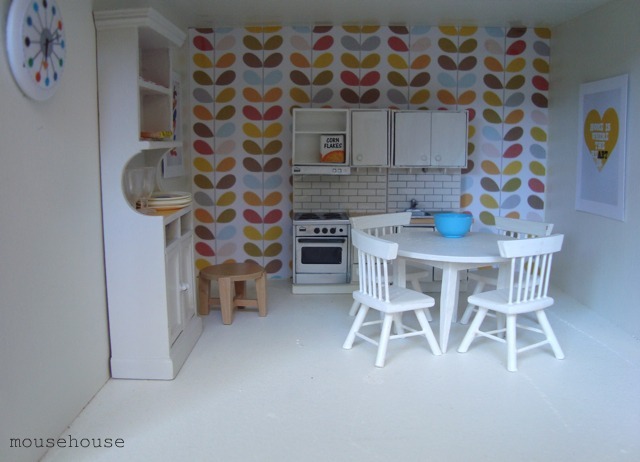 I never had a dollhouse when I was little. My friend Marie did and oh what a beauty it was. This one is just too sweet. Imagine having that as a little girl. 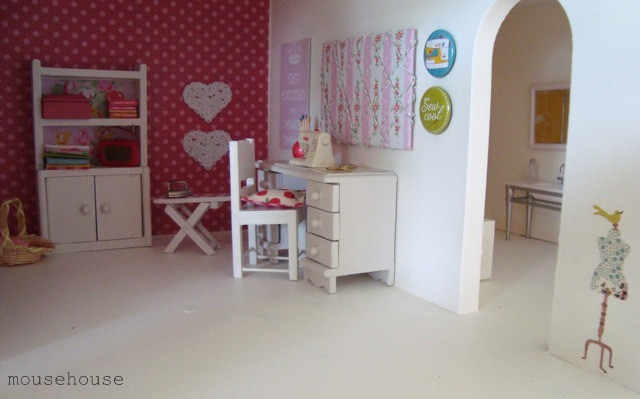 And all those crafty, weeny, tiny furniture/art .. amazing. Hope Pablo is going OK today. 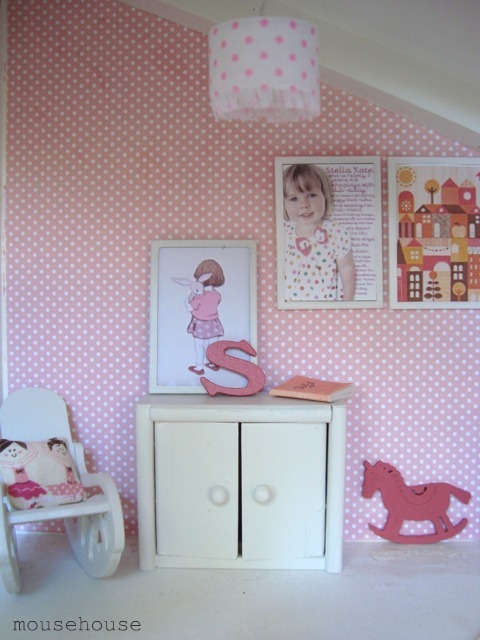 Orly Keily wallpaper in the kitchen????? you have got to be kidding me. 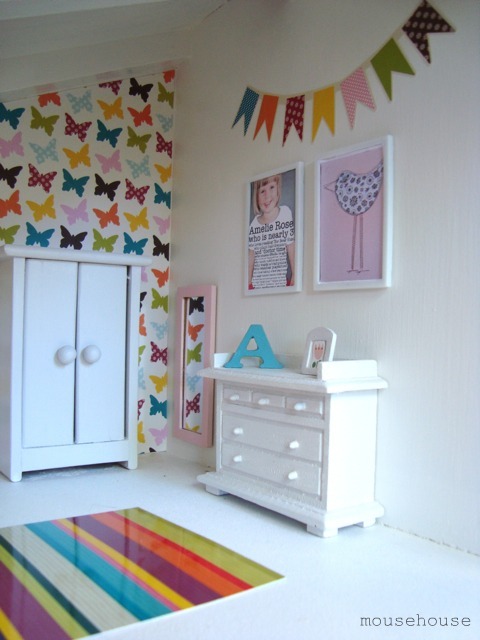 I LOVE this dolls house, it's such a grown up gal's fantasy isn't it. 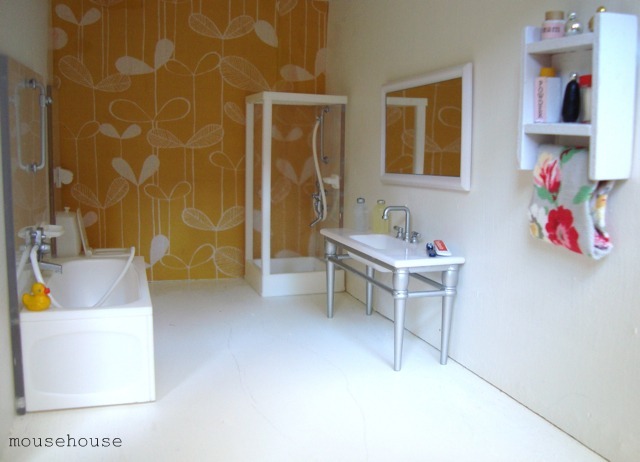 I never had a dollhouse when I was little but now I have or my girl has ;) It's very old. So thanks for the share, I got so meny ideas. Awww! Why is everything so much better when its in miniature?! 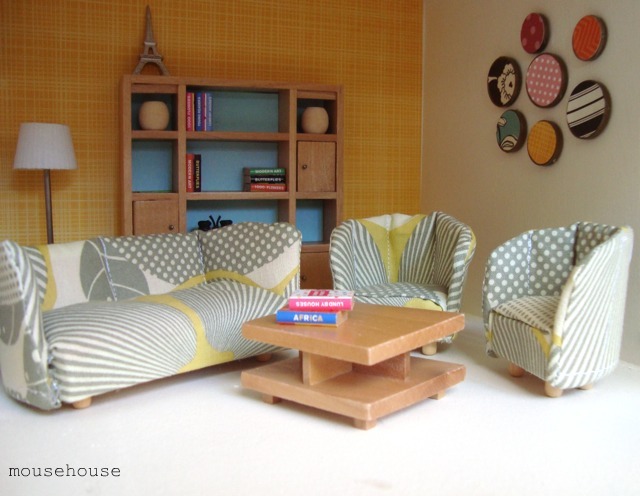 of course the dolls house was purely for my girls and not for my own personal designing and crafting pleasure tee hee ;) thanks for sharing on your fab blog, much appreciated! I would sooo live in this house! Hi! I'm from Brazil, so... sorry about my english! I visit your blog every day and like so much! 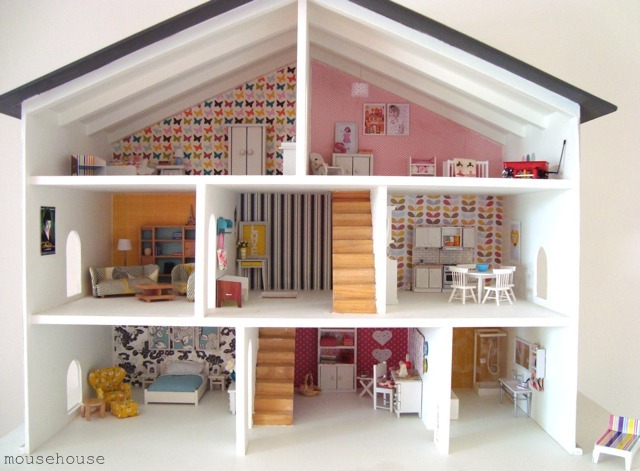 I just loveeeee this doll house!!! I NEED one!! 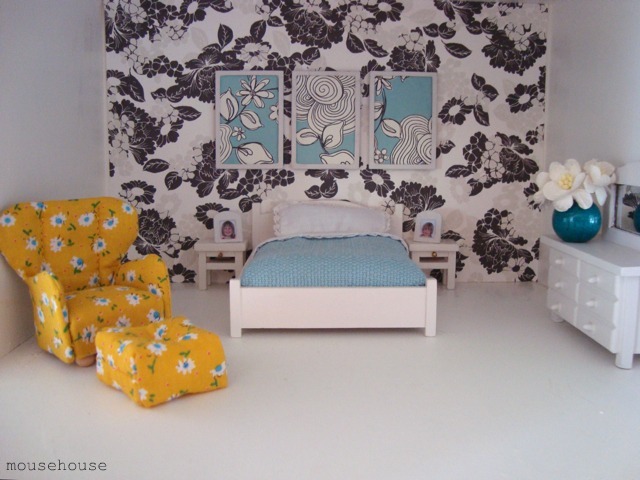 Megan - your dollhouse is a big hit! I'd love to get Isabella one like this and fix it up myself. For her. Yeah...that's it. LOL!